The network is a place that exposes your computer to dangers or threats, within which there are worms. The main function of worms is to steal private information of restricted files. This article gives some details about what you should know about computer worms. A worm or worm is characterized by its ability to easily spread itself through the network without human intervention or assistance. Another important feature is the ability to replicate, generating copies that can have a catastrophic effect. Symptoms of the presence of a worm is the high memory consumption on a PC and increased bandwidth (in Internet servers), which makes the computer to stop responding. Latent deficiency Software: As already mentioned, the paths are generally worms emails, executables, etc. Propagation system: after infecting a system, it looks quickly move to another. Load: these threats have a back door to execute the damage. Those transferable through emails contain links or attached executable files. It should be taken into account, especially the files with the following extensions: exe, com, bat, pif, vbs, scr, msi, eml. They can also be transferred by courier services like MSN or Yahoo Messenger, when a known contact calls you open a link is likely to be a worm. Always check before clicking. It is one of the most damaging forms of infection as it can lead to damage to the same USB pen drive. The worm is activated using the original pen drive setup. Programs based on shared information Peer to Peer (point to point) are easy targets for downloading files with worms. These hidden under names that may of your interest. To prevent infection you should run antivirus updates constantly. Its route of infection is also emails, with the difference that the extensions are varied: txt, eml, html, dbx, wab. This worm is infecting t LAN Networks. The symptom of being infected is that your computer turns off within seconds of being infected. It is considered one of the most dangerous of the network. It has not been controlled by the designers of antivirus. The damage it causes is in the operating system, not allowing automatic updates and the download of any type of network information. Finally, keep in mind that the damage from worms generally focuses on generating network problems. Moreover, once the worms have infected your system, they seek to infect others through any means. 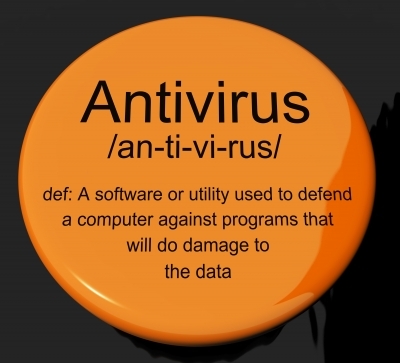 Therefore, the presence of a permanent antivirus protection is necessary.